What Car? fuel economy challenge | What Car? Do you want to improve your fuel economy? Or maybe you want to prove what an economical driver you already are? Either way, why not come along to our fuel economy challenge day at the What Car? 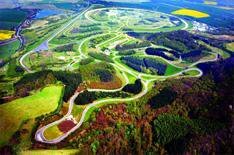 test track in Millbrook, Bedfordshire; one of Europe's leading facilities for testing and developing cars. We're looking for eight volunteers to take part in a fuel economy experiment that will feature in the May issue of What Car? magazine, and online here at whatcar.com. If you'd like to be considered, please e-mail your name, age and address to will.nightingale@haymarket.com. The event will take place on Monday, March 16, starting at 10am and finishing at around 1pm. Applications must be received by 9am on March 13. We'll be in touch later on Friday if your application has been successful, with further details of the event.